By Saturday night, I had a pretty rough idea what my article topic was going to be heading into Sunday morning. There were numerous loose ends I was planning on tying up from past articles – a conglomeration of ancillary thoughts and observations, of sorts. Then I woke up Sunday morning and saw a barrage of news and spoilers from Battle for Zendikar. Naturally I would be doing a major disservice to MTG Price subscribers if I didn’t share my gut reactions to all this information. I will have to put my other ideas on hold for at least another week. 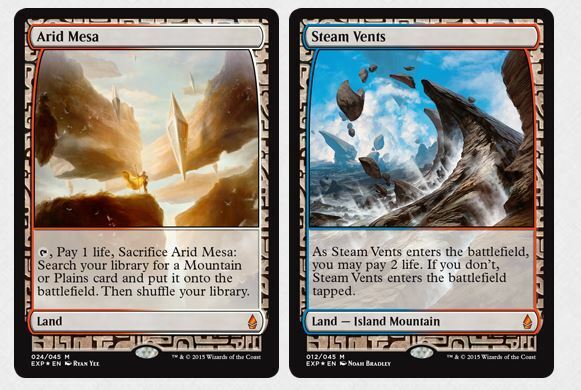 We received three major land spoilers over the weekend, and each will have some sort of financial impact. I think I see what you mean, but I’m afraid I don’t have the know-how to fix. Hopefully someone else will see this comment and help. So is anybody who works there going to address the major misstep this weekend with the blog? You guys promised live coverage of the World Championship…which turned out to be just Thursday and no live coverage for Friday, Saturday and Sunday. Not even updates after the fact, just nothing except a list of who made the top 4. Epic fail. A huge let down for a lot of people, and everyone there is just pretending it didn’t happen? 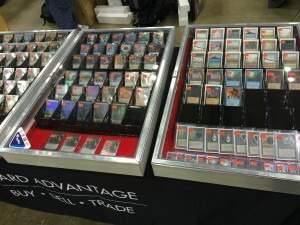 Great, timely article, thanks for providing some insights into the Expedition Lands. This block is starting to scream “Lands Matter” in my opinion. Land Hype! 1. Get in on Landfall speculation targets early before more Landfall spoilers cause brewers to impulse buy (+$1). 2. Hopefully your cards are shipped before someone important writes an article about Landfall synergies (+$1). 3. Make sure you have a stack to sell before spikes see the card on camera (+$2). 4. Try and hold a couple if the card makes top 8 and sell into the hype spike (+$3). I think that Animist’s Awakening has a good chance of following this path. It was $1 and is moving up to $2. Some name drops in articles could make the card $3. Camera time could mean $5 and top 8 could mean $8. I feel “safe” knowing that hype alone could make this a $3 card. I had to get in on this one. I’m obviously also hoping that a Green Landfall archetype emerges in the Meta to take the place of Green Devotion. I highly doubt that vacuum isn’t filled by something. Landfall/Ramp is my bet and that is my true reasoning behind this strategy. I saw some limited discussion on Animist’s Awakening on Twitter and sentiments were mixed. Some feel the card will synergize terrifically with landfall, others think it’ll still fall flat. I’m somewhere in the middle. I’m keeping the card on my radar, but I am not sure how much cash I’d want to commit to the card. So far I haven’t bought in…I could see trading for cheap copies as a better play in the interim. Maybe I’ll grab a set or two, but this is honestly one of those cards where I’d rather wait and see it show up on camera before committing funds. I wouldn’t make the maximum returns, but I’d avoid some of the risk while still buying in quickly enough to lock in modest rewards. Thanks for your comment!! I know the column wasn’t the meatiest, but I figured I had to address the latest information on BFZ since I was the Monday article. So I did my best working with what was known at the time. At least Shaman of Forgotten Ways has truly done well since yesterday!